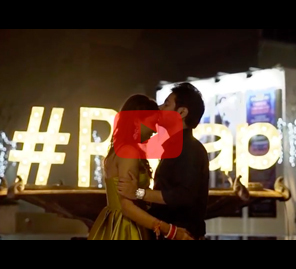 WeddingSutra Favorite KnotsbyAMP cuts an edgy, action-packed, 360-degree teaser that creates incredible anticipation about the wedding film. 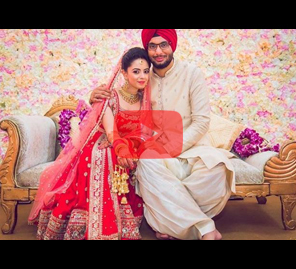 Olympian and Indian Table Tennis sensations Neha and Shubham's wedding film teaser is a joy ride! 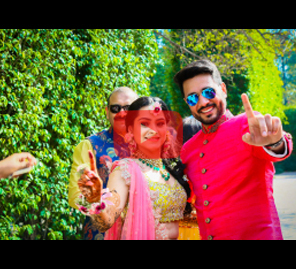 Cut with an edge to an unusual (for weddings) track, featuring jump cuts that are a thrilling mix of glorious scenery, modern revelry and luxurious tradition, it is truly a trailer that makes you wonder about the wedding. This extravagant destination wedding took place in Hua Hin, Thailand. The teaser gives you a drone’s eye view of geometric divides – the beautiful natural landscape, the architecture of the resort and features of the festivities to come – that make this celebration. Shot by WeddingSutra Favorite KnotsbyAMP, this teaser promises a theatrical extravaganza. You are given a sense of the surroundings – Thailand’s natural beauty, the expanse of the property and the bright, beautiful décor across the events, indoors, outdoors, by day and by night. Then you meet the people – here is the groom, arriving with his baraat. Here is the bride, her mehndi tells a story. This is how the day functions look – that is how the night revelries played out. Snapshots of performances by family, little children welcoming the bride, a laugh here, a swag look there – and you’re already wishing you were at the wedding. Neha and Shubham's pre-wedding parties were packed with guests who danced through the night. The ceremonies were gorgeous and there was love and laughter in the air. Whether it’s the little gestures or most memorable moments, Knots by AMP promises, with this teaser, of a wonderful story yet to come.